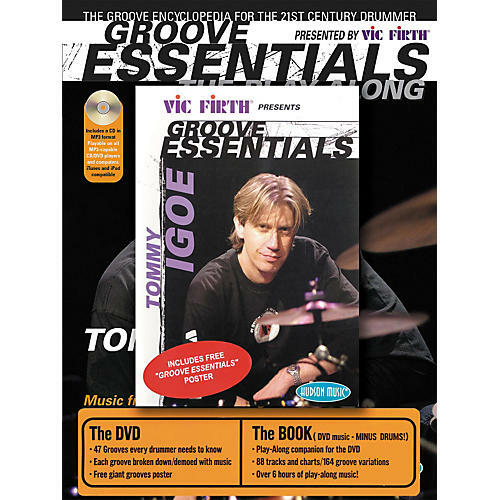 This value pack includes Tommy Igoe's Groove Essentials, The Play-Along book/online audio pack and the Groove Essentials DVD for one low price! The book serves as a play-along companion for the DVD with 88 tracks and charts and 164 groove variations for over six hours of play-along music! The DVD covers 47 grooves every drummer needs to know, with each groove broken down and demonstrated with music. Includes free giant groove poster.